A cough is considered uncontrollable if it continues even after rendering a person out of breath, causing chest pain or soreness in the airways, or even making a person vomit. Although coughing fits are not uncommon among disease, this type of uncontrollable coughing is a much more specific symptom. What Causes an Uncontrollable Cough? Broadly speaking, an uncontrollable cough is caused by excessive stimulation of the pulmonary receptors or vagus nerve, which govern the reflex. Alternatively, and more rarely, there could be a signaling problem that is forcing the cough reflex even without proper stimulation. Most causes of uncontrollable coughing are shared between adults and children, though some age groups are more vulnerable to a specific cause than others. 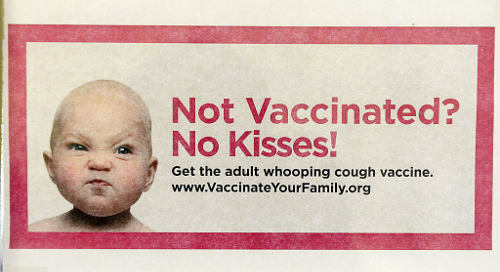 Whooping cough is a respiratory infection caused by Bordetella pertussis bacteria. The disease is highly contagious, but can be hard to detect immediately due to the way symptoms progress. The initial “contagious” phase tends to last about a week to ten days, during which you may experience a persistent cough. When the second phase begins, the cough can rapidly worsen and become uncontrollable while featuring a “whoop” sound when inhaling (hence the name). Watery eyes, congestion, fever, and vomiting are not uncommon during this period. This is one of the more common culprits behind an uncontrollable cough. Basically, your nose produces too much mucus, which then drains down the back of your throat and causes irritation. This normally results in coughing fits, but can sometimes present as an uncontrollable bout depending on what is causing the excessive mucus in the first place. Postnasal drip can be a side effect of another infection or allergy or recurrent irritation from smoking. During asthma attacks, the airway becomes constricted and impairs breathing. The uncontrollable coughing is a result of the body’s overreaction to certain stimuli like smoke, pollen, dust, or even cold weather. There are many different kinds of asthma, and various potential causes of the condition such as viral infections, side effects from medications, and inheritance. Gastroesophageal reflux disease is when stomach acid flows backwards into the esophagus. The esophageal walls are not designed to handle stomach acid, and over time the reflux will lead to injury and irritation. Symptoms of heartburn will start to appear alongside uncontrollable coughing fits. This is a condition largely seen in children between six months and three years old that is caused by an upper respiratory infection. During bouts of croup, the airway becomes swollen and restrict breathing. With croup, the cough will have a “barking” quality, along with hoarseness. This is a type of irreversible widening and scarring of the airway that can be brought on from infection, heredity, smoking, or autoimmune disease. As the lower airway widens and weakens, it becomes harder to clear the passage of mucus. This leads to a buildup and breeding ground for bacteria, spurring further infection and worsening the problem. Steaming, decongestants, elevating the head while sleeping, and a nice cup of warm tea are all potential home treatments for reducing the likelihood of suffering an uncontrollable coughing fit. However, and this is crucial, you should not rely on these methods alone. Trying to treat or ease the cough may make you feel better for a short while, but the problem can only be successfully addressed by treating the underlying cause itself. This is especially true if a viral or bacterial infection is involved, both for the well-being of the patient and anyone else who is at risk of catching the disease from them. Recurrent, uncontrollable coughing fits should always be brought to your doctor’s attention.